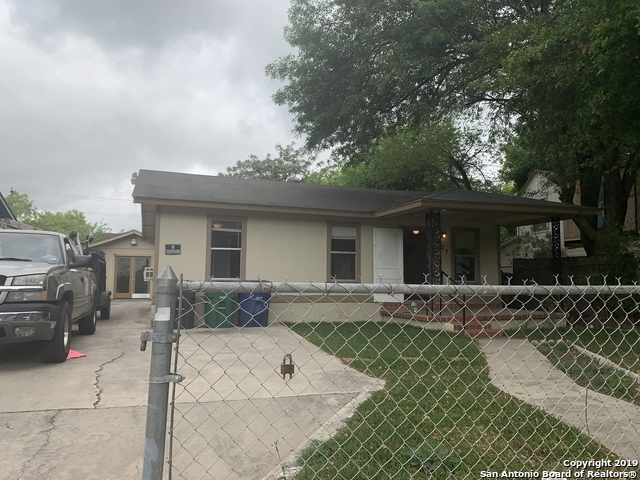 All GARCIA homes currently listed for sale in San Antonio as of 04/24/2019 are shown below. You can change the search criteria at any time by pressing the 'Change Search' button below. "GREAT INVESTMENT POTENTIAL. 2 HOUSES , FRONT HOUSE 3 BEDROOMS, BACK HOUSE 2 BEDROOMS. WOULD BE A GREAT INVESTMENT PROPERTY OR HOME TO A LARGE FAMILY , WITH JUST A LITTLE TLC." "Cozy home located close to shopping centers & restaurants. Remodeled home with updated kitchen featuring new cabinets, granite and detailed backsplash, great for cooking those great home cooked meals. Flooring, Paint and Bathrooms all updated. Enjoy family time on your outside deck or yard that features natural shade from the mature trees. Pick fruits from the grapefruit or orange trees. Range to be installed. OWNER FINANCING available, Dueno financia. ITIN, marticula and passport ok!"